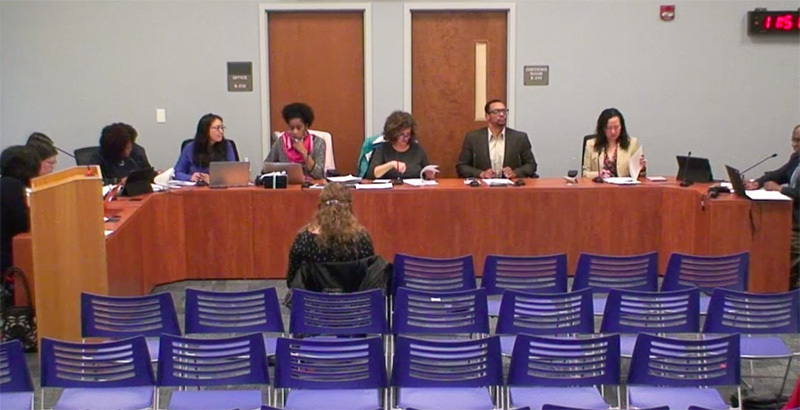 A few weeks after the Oakland School Board voted to cut $9 million from its schools in the face of a budget crisis, the school board approved a raise for its seven members. The board voted 5–2 this week for a $40 monthly raise for each member, bringing each director’s compensation to $826 a month, or nearly $10,000 a year, the San Francisco Chronicle first reported. Some board members argued that though small, the raise was a symbolic acknowledgement of the long hours — sometimes more than 20 hours a week — that they put in helping their school district, and that the income was helpful for their families. Board member Roseann Torres said the members do far more extensive work than the boards in many other comparable-size districts, and that the raise was minimal. “We put in a lot of hours, and the 5 percent is very minuscule and insignificant,” she said. But for others, this was the wrong time for a raise. Hundreds of parents, students, and educators showed up at board meetings in November and December to protest the $9 million in cuts, which will lead to significant layoffs. Oakland had been at risk of a state takeover after a state report said the district had been overspending. It still owes California $40 million from the last takeover in 2003, according to the San Francisco Chronicle. The news outlet reported several examples of overspending, such as in 2014, when the district budgeted $7 million for consulting but spent $22 million. During tense meetings last month, several board members acknowledged that they could be doing more to help manage district finances. “I’m angry at this entire board for not governing better and not asking more questions of [former superintendents] Antwan Wilson and Tony Smith,” Torres said, according to the East Bay Express. The student representative on the board, Gema Quetzal, who does not earn any compensation for her service, cast a symbolic no vote at this week’s meeting, pointing out that even though the raise is small, $40 could mean a lot to teachers who can’t afford supplies for their students. “We put in hours because we want to help our community,” she said. The last time the board saw a raise was in 2010. It also totaled 5 percent. School board members in nearby San Francisco earn $500 a month while serving more students, the San Francisco Chronicle reported. The Los Angeles school board received a 174 percent raise last year, with each member now earning $125,000 annually.